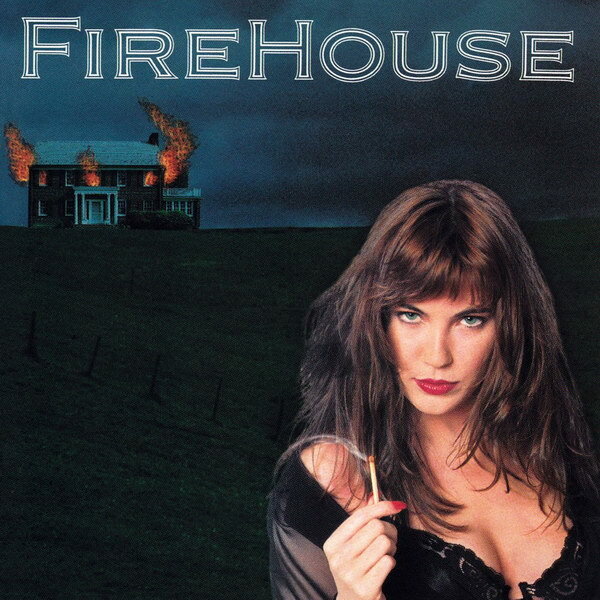 Firehouse font here refers to the font used in the album cover artwork of Firehouse, which is the self-titled debut album from the American glam metal band FireHouse. The lettering for the title on the album cover is very similar to a font named Copperplate Gothic Bold, which has been also used on the subsequent albums like Hold Your Fire, Category 5, O2, Prime Time etc. Copperplate Gothic Bold is a commercial font and you can view more details about it here. In addition to Firehouse, Copperplate Gothic typeface is also used in the following logos, movie posters or album covers etc., including: North & South, Seabiscuit, Lost in Space, Fear Factory, The Piano, Universal Orlando, Moleskine, Falling in Reverse, Cold Tracker, Death Rally, Flyboys, GCB, Legendary, Midnight Texas, The Baby Experiment.